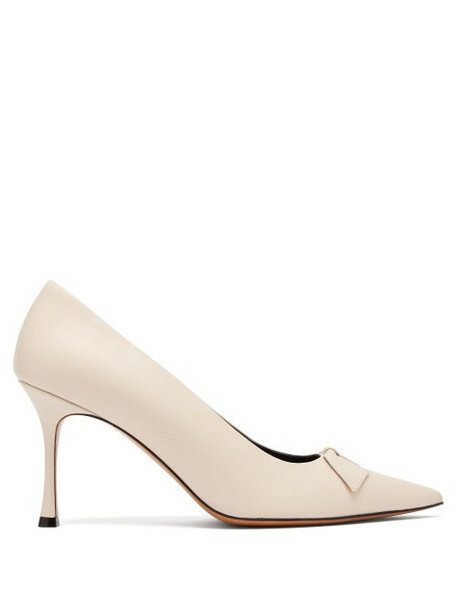 The Row - The Row's refined ready-to-wear silhouettes translate to these off-white leather Champagne pumps. They're Italian-crafted to a slender point-toe shape trimmed with a small bow on the vamp, then set on a shapely stiletto heel. Style them with sumptuous separates for a sophisticated day-to-night ensemble.